Apple has recently released a new iOS 7 for its smartphones and tablets. It is very different from previous versions in both appearance and technical filling. In particular, it has become much safer, as the company “fixed” many security breaches. However, as we know, there is no perfect protection, so after installing iOS 7 on the mobile device the user simply needs to configure manually some settings for better data protection. Today it is clear that you can forget about privacy for a long time, but it still not worth to make life easier for people who strive to copy personal information from a mobile phone or to trace the owner’s location. Therefore, immediately after installing iOS 7, configure the four most important security parameters. This service is probably the most insidious of all which iOS 7 has. It saves all the information about everything that is done by the user and then send “anonymously” this information to Apple. This is done ostensibly for the analysis of the system and its further improvement, but it is hard to believe in it, especially after the latest security scandals. Be sure to turn off this feature, and sometimes check its status, because after installing some applications it may well be turned on again. It is another service that is also easy to turn off and never turn on again. Do you want anyone to know where you are? As you remember, Apple has repeatedly been accused of the surveillance of the gadgets owners, since this function was introduced in iOS long before the seventh version of the operating system. Of course, it was stated that all statistics are anonymous but as you know there is nothing anonymous in IT. This is roughly the same as the previous service with the only difference that here everything is tied to targeted advertising. Those banners that the users will see on the screen of the Apple gadget depends on where they are right now. The service was launched in June 2010 and caused a lot of controversy over the new Apple policy of security and privacy. Unplug it and do not forget to install the browser plug-in for removing all ads. This service, unlike the previous three, is necessary to have on. 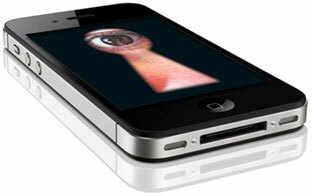 It refers to mobile browsers and forbids them to gather information about what the user is doing online. If Do Not Track is not enabled, all Web surfing history and, quite possibly, the personal data will be “anonymously” transferred to Apple servers for further processing. Do you want it? This post is written by Katerina Merzlova, a marketer from Nasty Creatures, a mobile company providing Android app development and epublishing services for enterprise and small business clients. To get more information about the team,Â read our blogÂ or follow us on Twitter @Nasty_Creatures. And remember: We’re nasty only to competitors! This entry was posted in Apple, Hacking, How to's, iPhone, Mobile, Technology and tagged How To Prevent iPhone Spying on You. Bookmark the permalink.